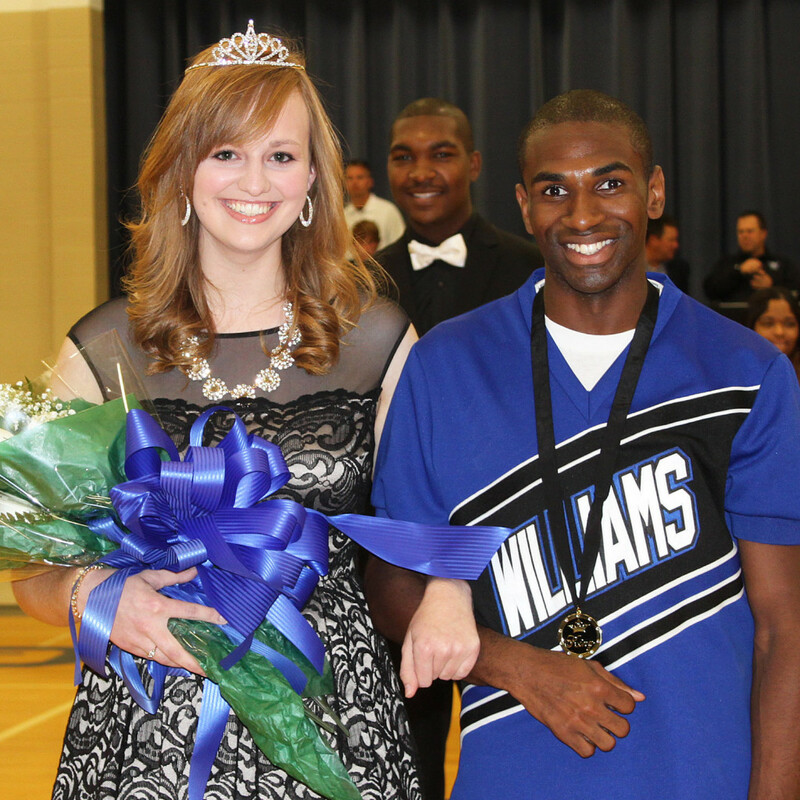 Moriah Hendrix of Mabelvale, Ark., and Terry Flowers of Jonesboro, Ark., were crowned the 2013 Homecoming queen and king Saturday at Williams Baptist College. The coronation took place before a full house at WBC’s Southerland-Mabee Center. Hendrix is a senior, and she is majoring in English. She is the Daughter of Kevin and Michelle Hendrix. Flowers is a senior English education major. He is the son of Wanda Flowers. Also representing the senior class on the homecoming court were Makenna Wiedower of Denton, Texas, and Carlos Owens-Hughes of Bogota, Columbia. Wiedower, a Physical Education and Health major, is the daughter of Keith Wiedower and Susan Marabele. Owens-Hughes, a psychology major, is the son of Stan and Debra Owens-Hughes. Juniors on the court were Ebony Scott of Jonesboro and Cory Platt of Fort Bragg, N.C. Scott is a family psychology major, and she is the daughter of Sharon Scott. Platt is a Christian Ministries major, and he is the son of Brian and Mary Platt. Representing the sophomore class were Callie Brooks ofMonette, Ark., and Ben Carr of Cherokee Village, Ark. Brooks is majoring in Physical Education, and she is the daughter of Robert and Michelle Brooks. Carr is a Christian Ministries major, and he is the son of David and Linda Carr. The freshman class representatives were Bethany Cummins of Chiang Mai, Thailand, and Patrick Smith of Malvern, Ark. Cummins is the daughter of Richard and Connie Cummins. Smith is majoring in biology-pre veterinary medicine, and he is the son of Patrick and Leona Smith. 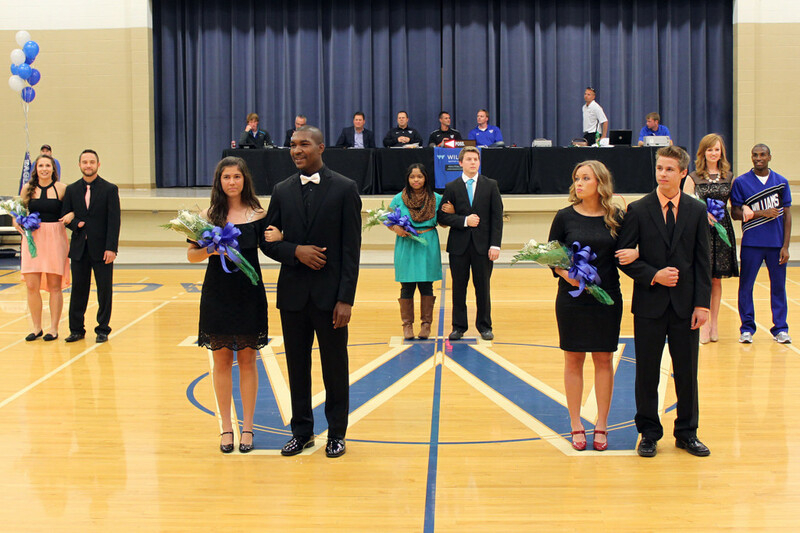 The Homecoming court and the king and queen were selected by a vote of the Williams student body. WBC Homecoming queen Moriah Hendrix and king Terry Flowers. WBC Homecoming Court (from left to right): Makenna Wiedower, Carlos Owens-Hughes, Bethany Cummins, Patrick Smith, Ebony Scott, Cory Platt, Callie Brooks, Ben Carr, Moriah Hendrix and Terry Flowers.